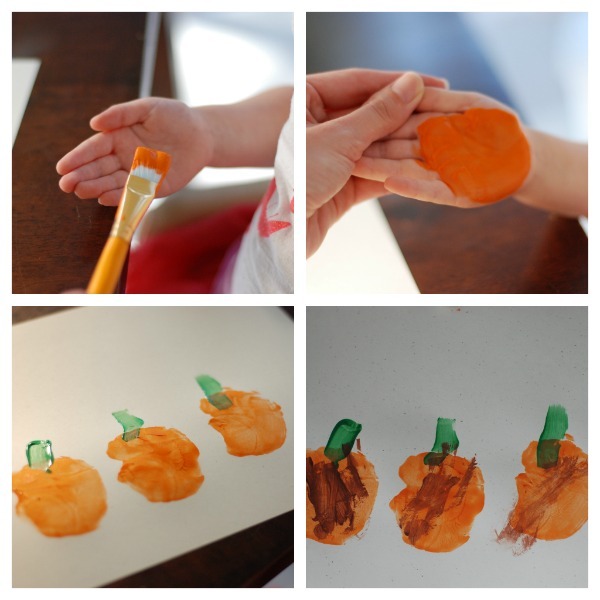 Hand-Print Pumpkins Craft for the Kids! 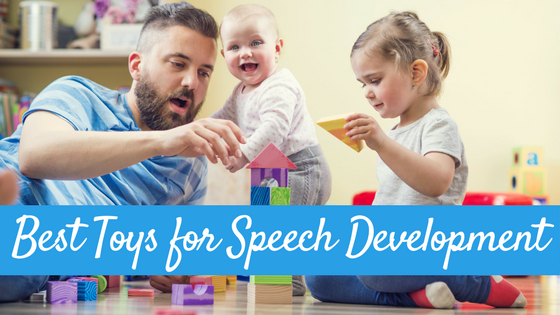 I LOVE LOVE LOVE doing arts and crafts projects with my children, as well as in my therapy sessions. 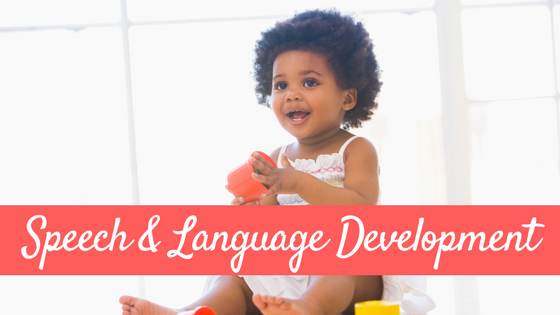 There are so many language learning opportunities when doing a craft project with a child or group of children: following directions, basic concepts and vocabulary development, etc. 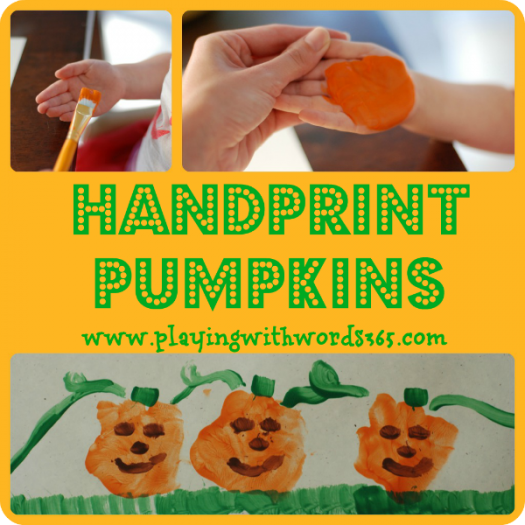 In the theme of fall and Halloween, this week we made hand-print pumpkins! Repeat step three as many times as you would like to make several pumpkins. We did three for each child. Allow the pumpkins to dry. It took ours about 10 minutes. When the pumpkins are dry, it is time to paint some faces! This is a great time to work on body part vocabulary and shapes as you and your child paint faces on your pumpkins. (i.e. eyes, nose, mouth, circles, triangles, crescent, squares). We also painted on stems. Be creative…you can also paint a scarecrow or vines, whatever you want! 🙂 I painted vines on Ev’s. Make a pumpkin family! Have each member of the family make a pumpkin on one sheet of paper. You can frame it and hang it as a fall decoration! Make Halloween Party invites or Halloween cards to send to the grandparents! 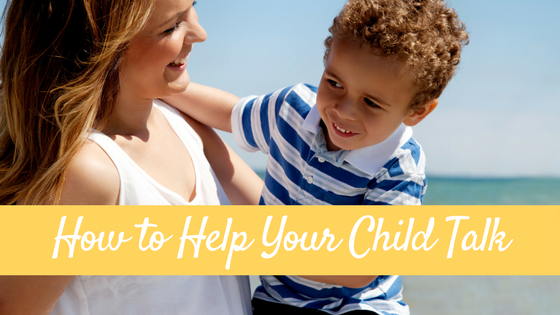 Make sure to talk to your child about each step. First, next, then, last. Talk about how the paint feels. Is it cold? Wet? Sticky? Talk about pumpkins. Their color, shape, feel. Where do they grow? What do we do with them? Talk about how paint goes from wet to dry. Why does this happen? Please let me know if you try this at home. I would love to hear how they turned out! 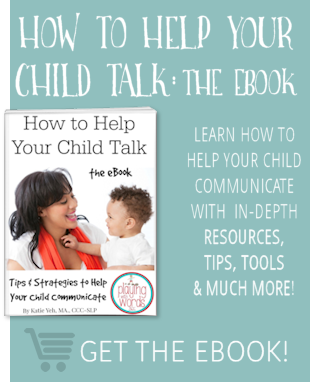 Remember to talk about each step of your project with your child and give him/her opportunities to answer questions about what he/she is doing. After you are done, can your child tell you the steps to how to make the pumpkins? Very cute idea! 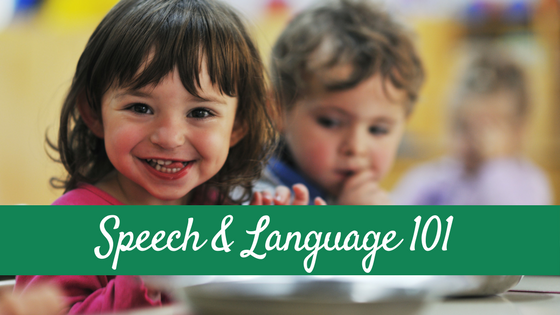 I am looking forward to trying this with my kiddos! 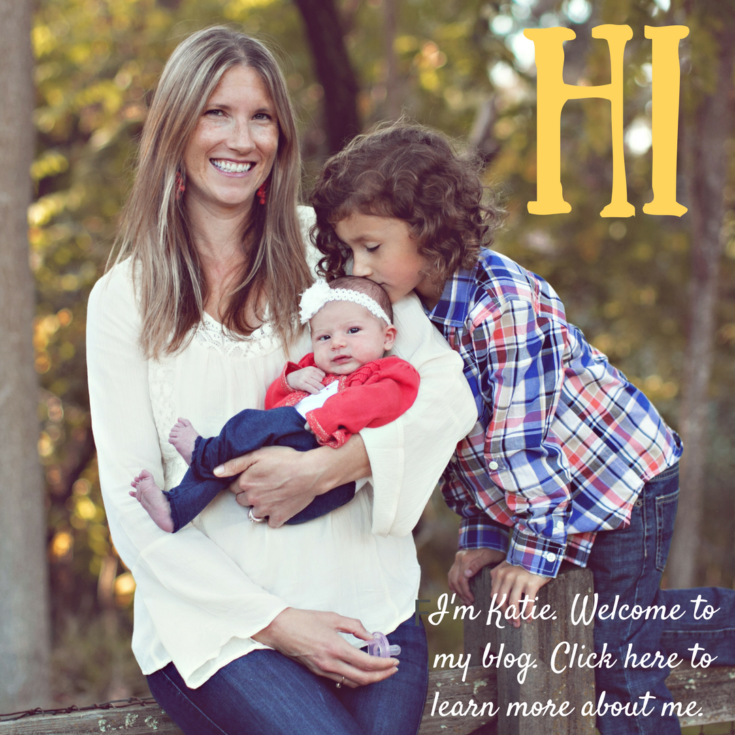 Thanks for sharing – I found you from Mom to 2 Posh Lil Divas Sunday Showcase. How cute are those?! I love simple projects! Hi Beth! Yes…sometimes the most simple projects are the best! Thanks for stopping by, I’d love to link up! Thanks for stopping by! Glad you liked them! Those are really, really cute! They turned out very well. Love the little pumpkins! Michelle thanks so much! Thanks for stopping by!